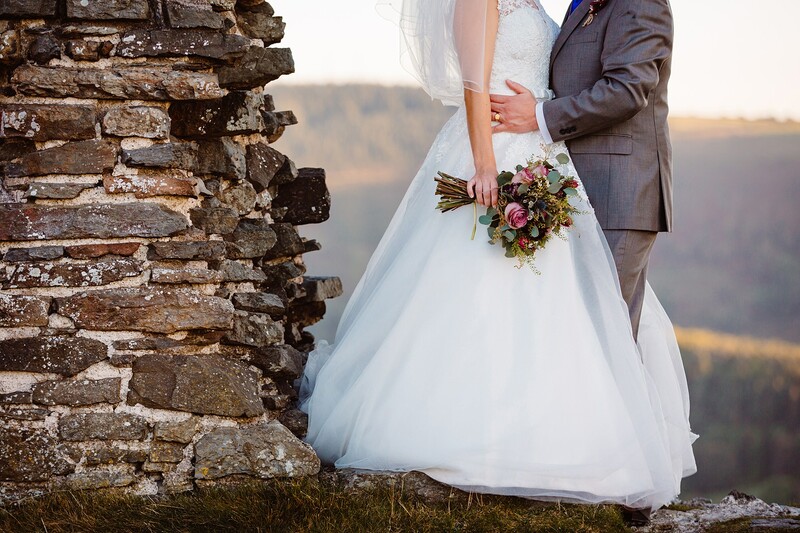 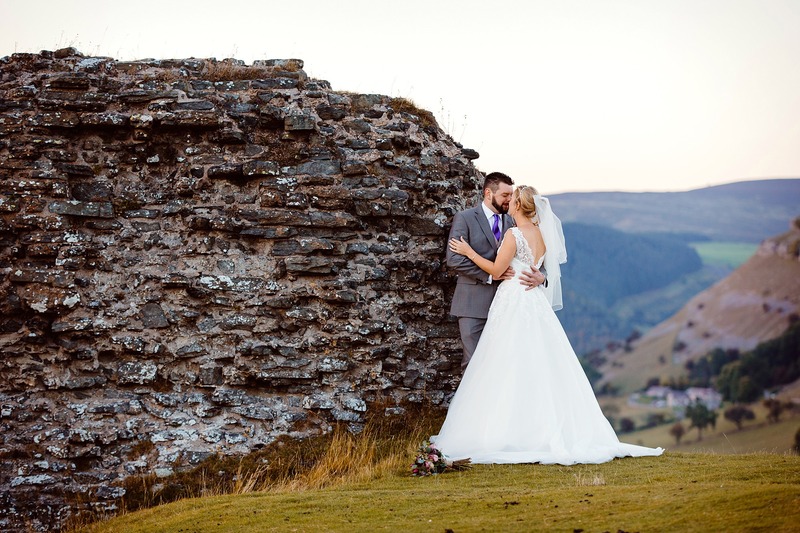 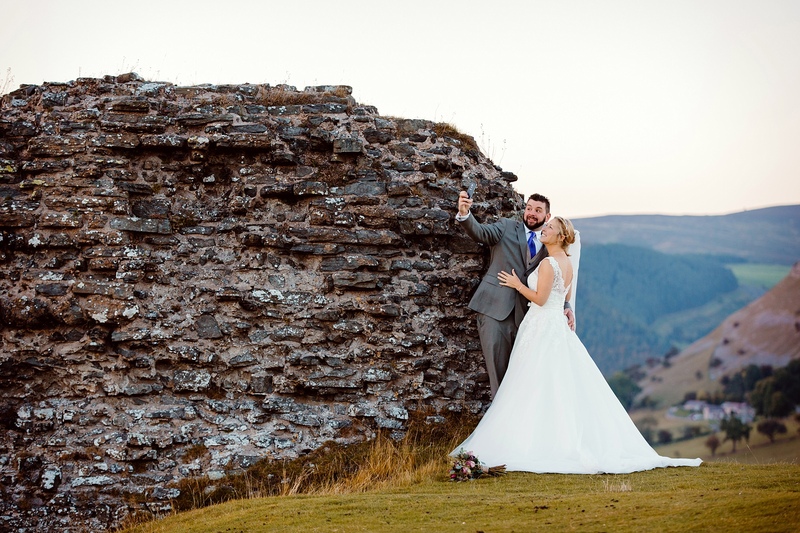 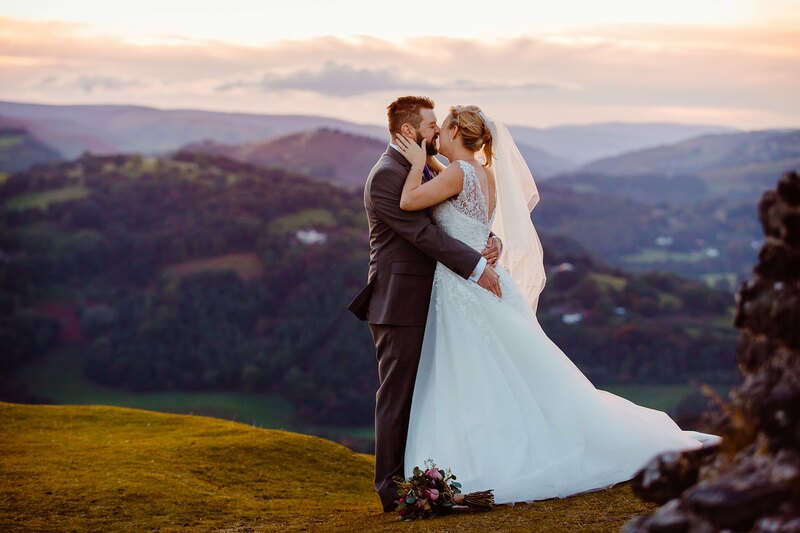 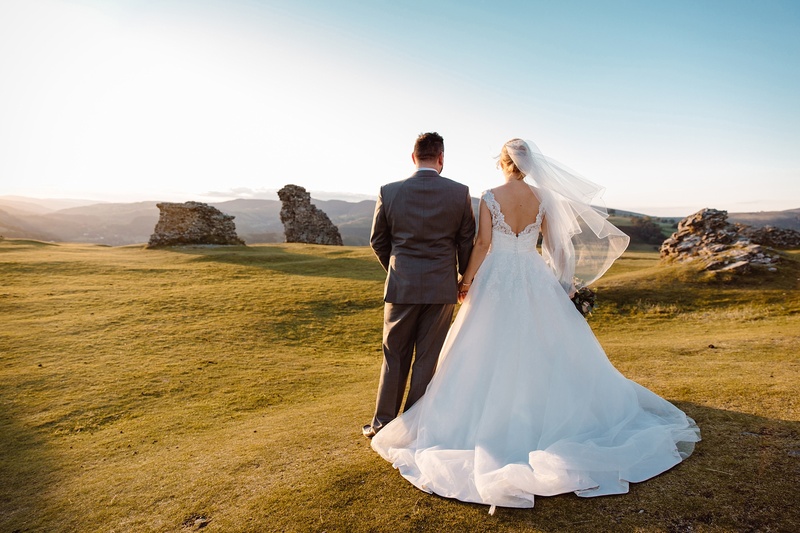 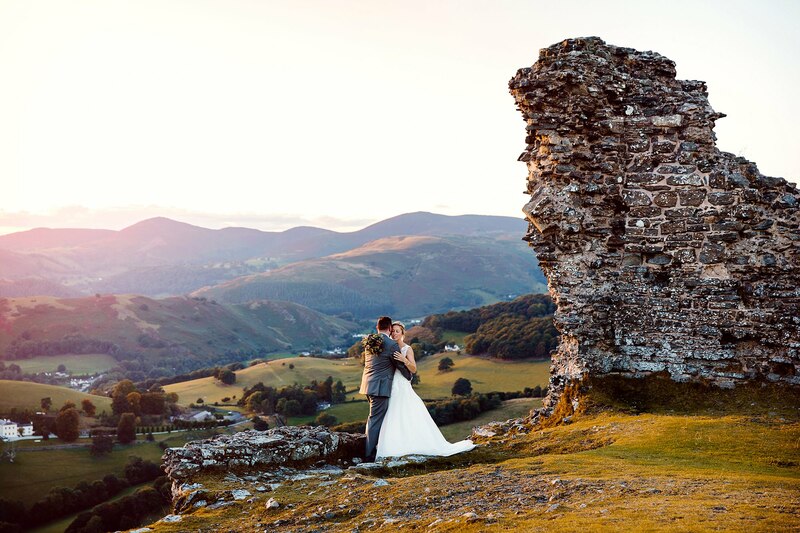 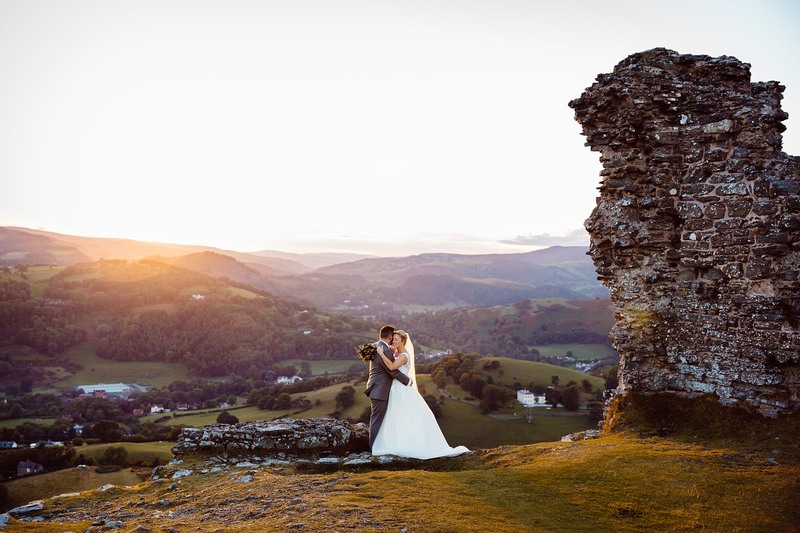 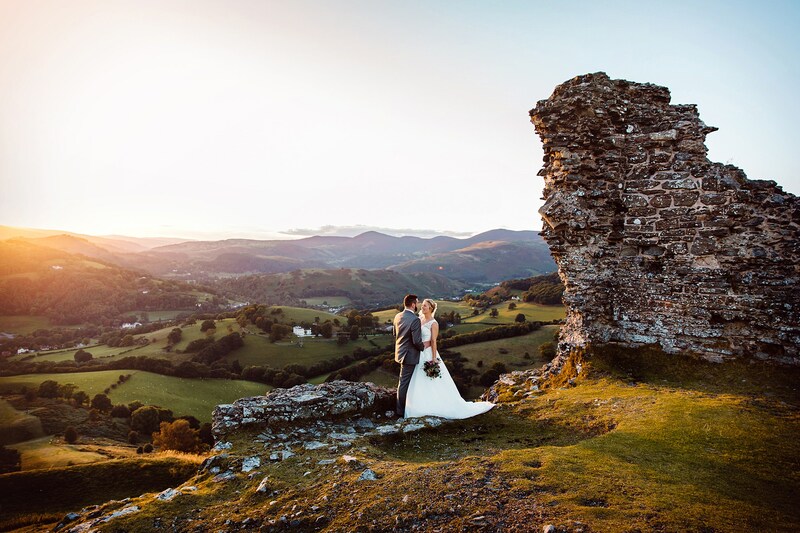 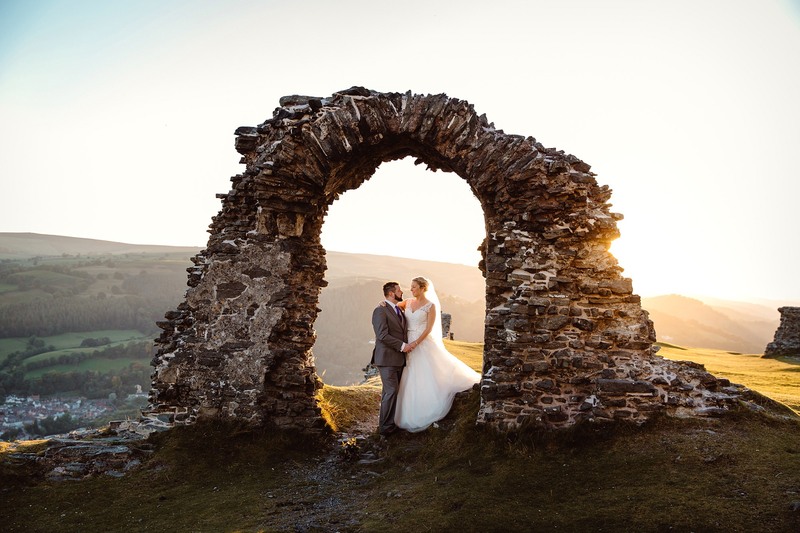 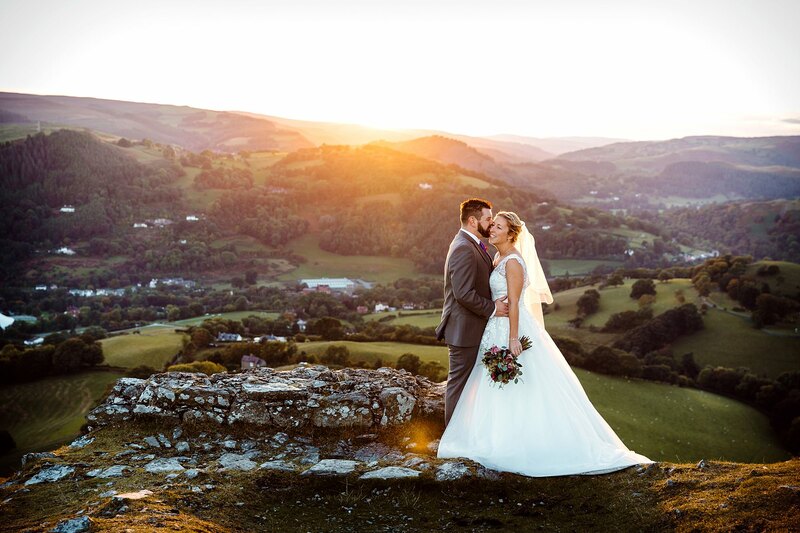 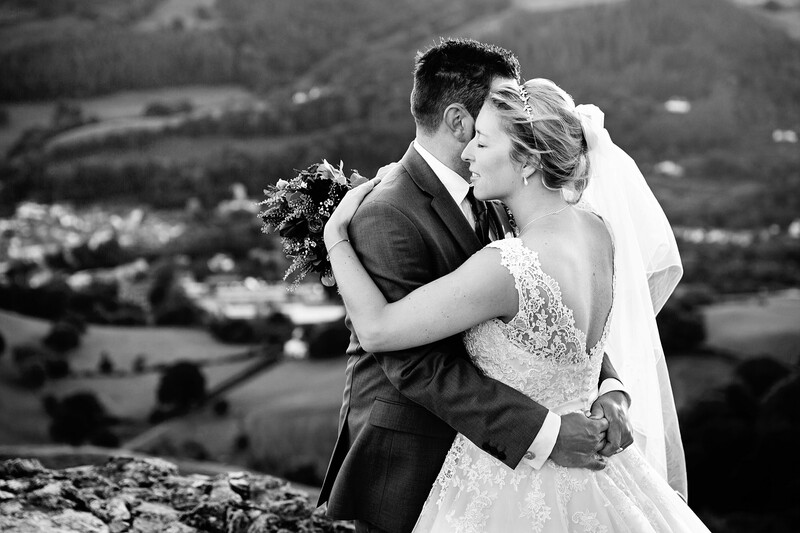 Castell Dinas Bran wedding photography – since Liz and Steve’s wedding was super rainy, I offered them a sunset shoot the day after at these awesome ruins local to where I was staying in Llangollen. 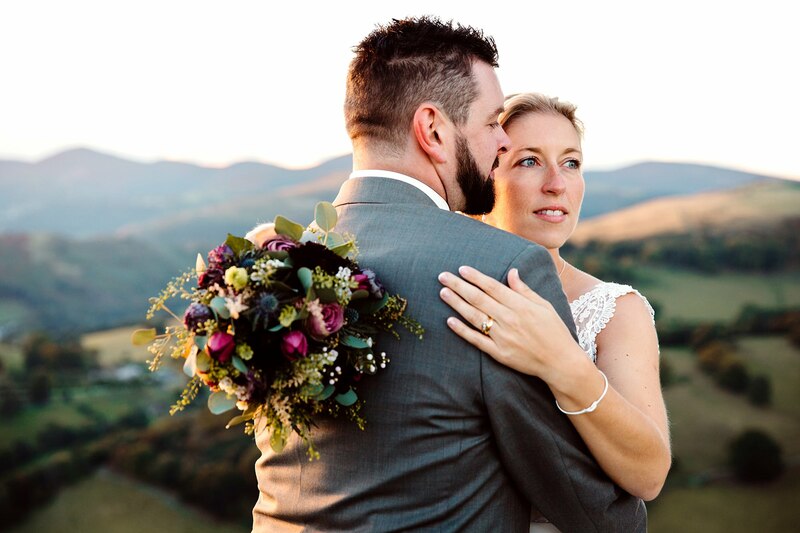 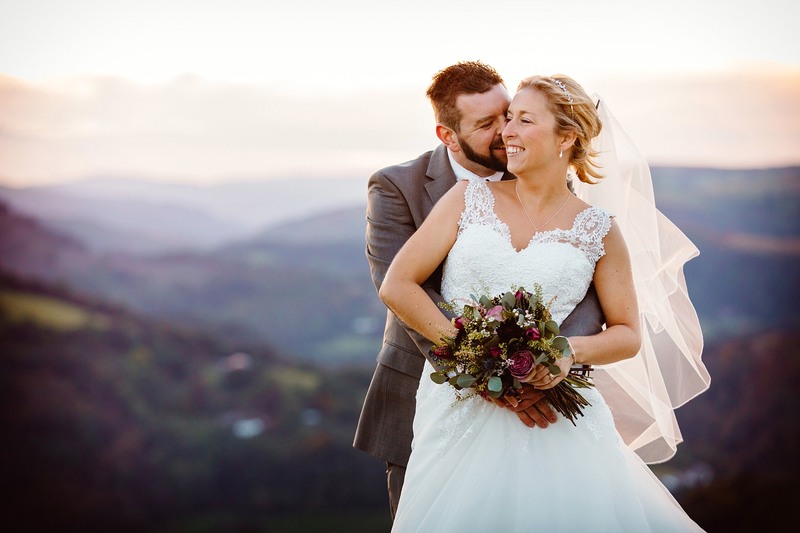 Typically it was nothing but full on sun the day after their wedding, so I decided to shoot close to to sunset as I knew the light would be lovely and soft over the hills and surrounding countryside. 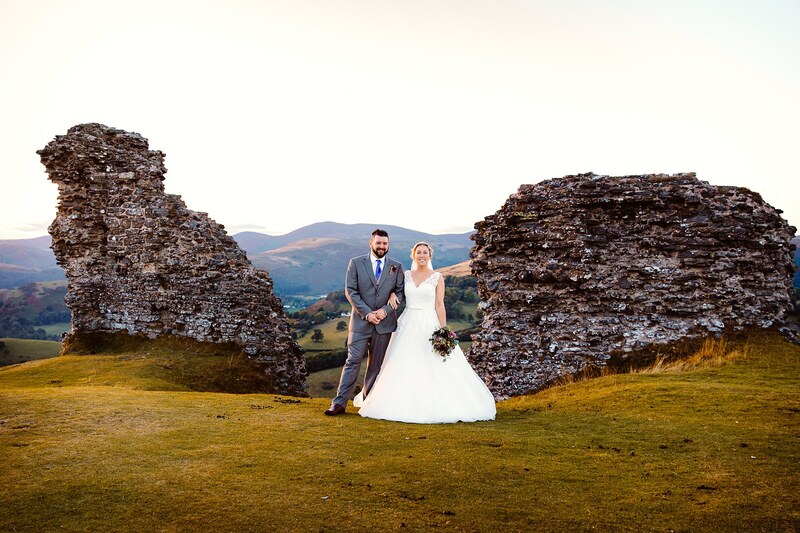 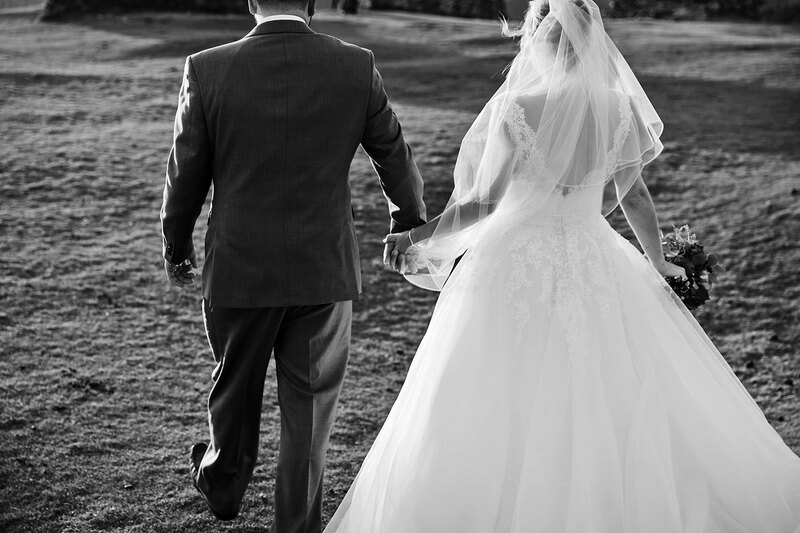 Liz and Steve were happy to get dressed up once again and we had a fun hour or so shooting round the ruins of Castell Dinas Bran and surprising random dog walkers. 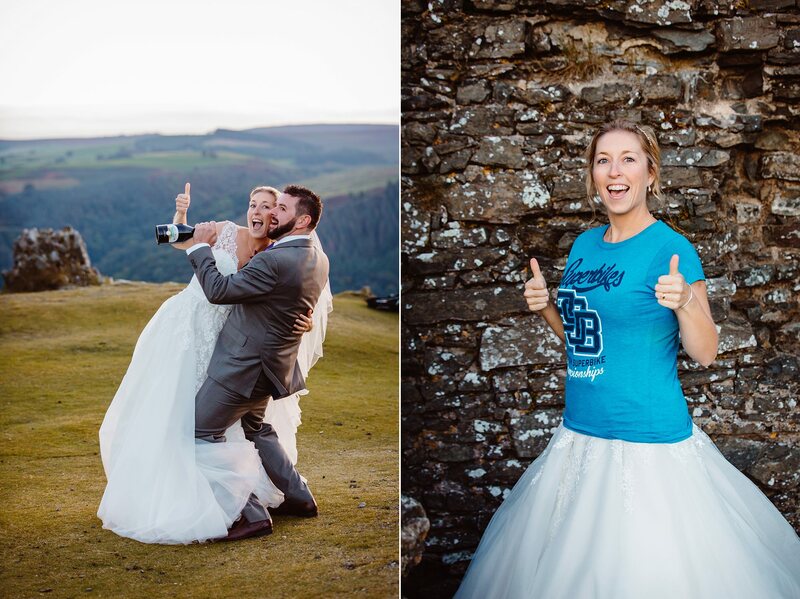 I couldn’t finish the shoot without taking a couple of fun shots at the end which exactly match Liz and Steve’s fun personalities! 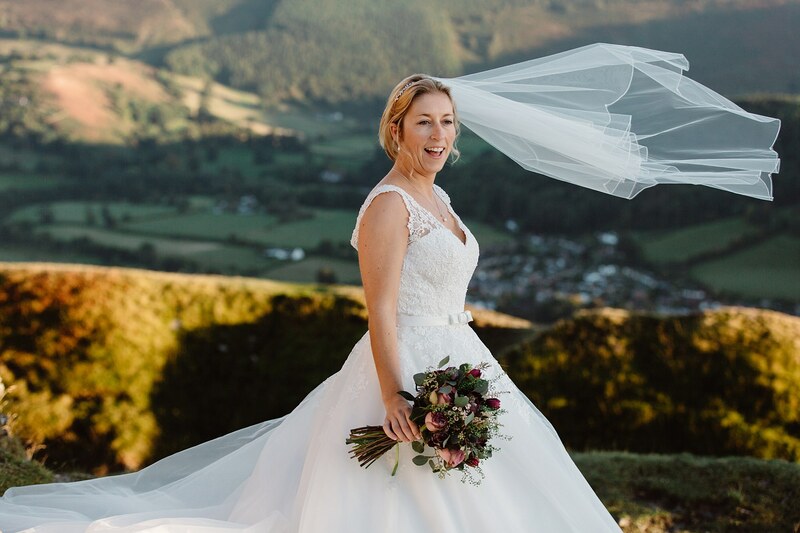 Also massive props go to Steve who hiked all the way up the massive hill to get up to the top carrying Liz’s wedding dress on his back the whole way! 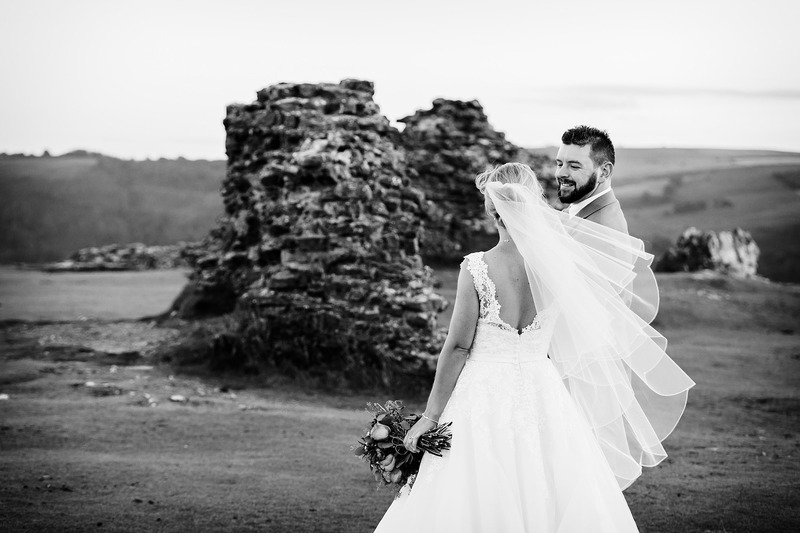 An after wedding session can be great fun if you’d like additional images of you together without the pressures of a wedding day or if you’d like a shoot in an alternative location to your wedding – you can check out another one of my post wedding shoots here. 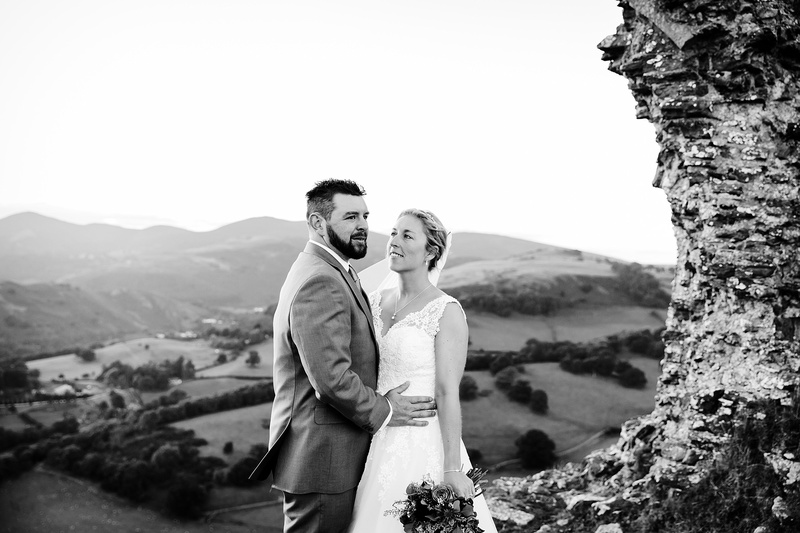 If it’s something you would be interested in, please drop me a line and we’ll make some fun images!